One of the most important herbs a person can use is garlic. Aside from giving our dishes a fantastic flavor, it has many health benefits as well. Garlic contains a compound called Allicin. According to one scientific review, Garlic’s main mechanism involves a molecule called alliin. When garlic is physically disturbed through chewing, slicing, or crushing, it releases an alliin metabolite: allicin. Allicin turns into a variety of fat and water soluble sulfur-containing compounds. In fact, these compounds are so volatile, they give off hydrogen sulfide, which is part of garlic’s unmistakable smell and taste. By tapping into the hydrogen sulfide signaling system, garlic relaxes the blood vessels and provides a variety of health benefits. Garlic also uses the hydrogen sulfide signaling system to exert its anti-cancer effects. Raw or aged garlic reliably reduces total cholesterol and Low-density Lipoprotein (LDL-C), while increasing High-density Lipoprotein (HDL-C). Garlic also provides a variety of anti-cancer properties. Eating garlic daily (10g or more) is associated with a significantly reduced risk of prostate, colon, and stomach cancer. It can also induce fat loss and adrenaline secretion, though in a minor way. Garlic appears to mildly and unreliably reduce triglyceride levels. 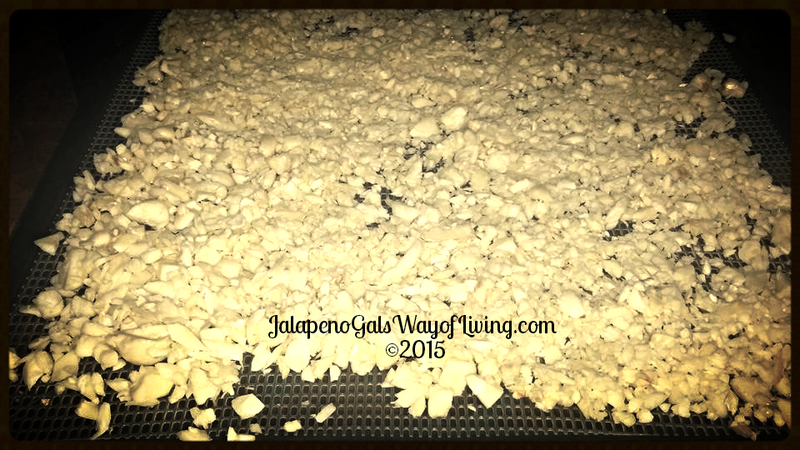 That being said, I like to dehydrate fresh garlic and turn it into my own powder. The taste is much stronger and there is no added chemicals or salts. I will walk you threw my process below. I prefer to use my own home grown garlic but lets face it, we do not always have that and not everyone grows their own. So for this article I am using a 3 pound bag of already peeled garlic gloves I buy at Sam’s for about $5.00. 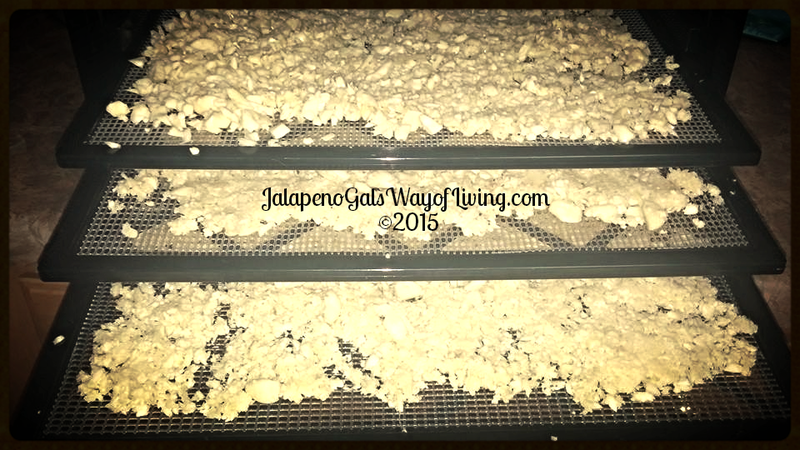 Spread minced garlic out onto your Excalibur Dehydrator Tray evenly and then set to dehydrate on vegetable setting. (125° F) If you do not have a dehydrator tray then you can set your oven to a low setting (under 200°F) and dehydrate them in the oven. You will need to check them more frequently and make sure they are not sticking or burning to your tray. I personally prefer to dehydrate with a tray so my house doesn’t get extremely hot. I also do not like to run up my electric bill using the oven for hours on end. The last time I checked it was .07¢ per hour with the dehydrator. Allow to dehydrate for several hours checking periodically. I like to turn the trays and move the garlic around a little to check the progress. We are going for an extremely dry consistency. No moisture at all. The crunchy effect. 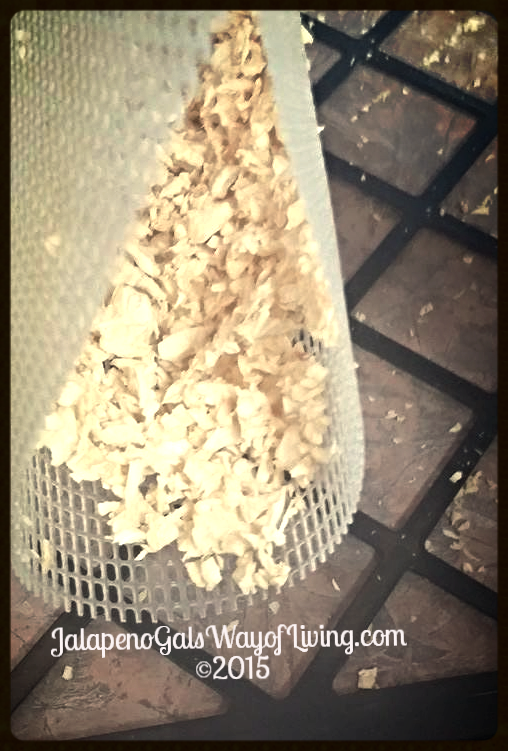 Once you get a dry consistency you will transfer our dried garlic into a small blender/mixer to blend it into a powder form. I prefer to use the Bella Rocket Blender. 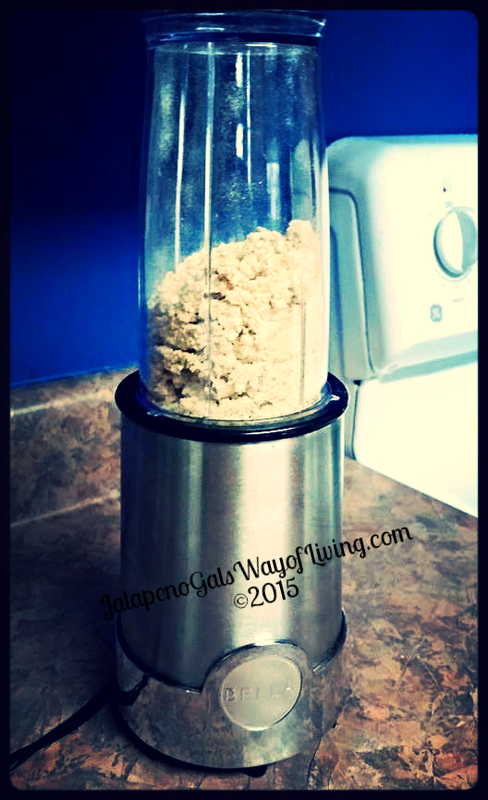 I have had it for years and it has never failed me when wanting to make powders or smoothies. Voila!! 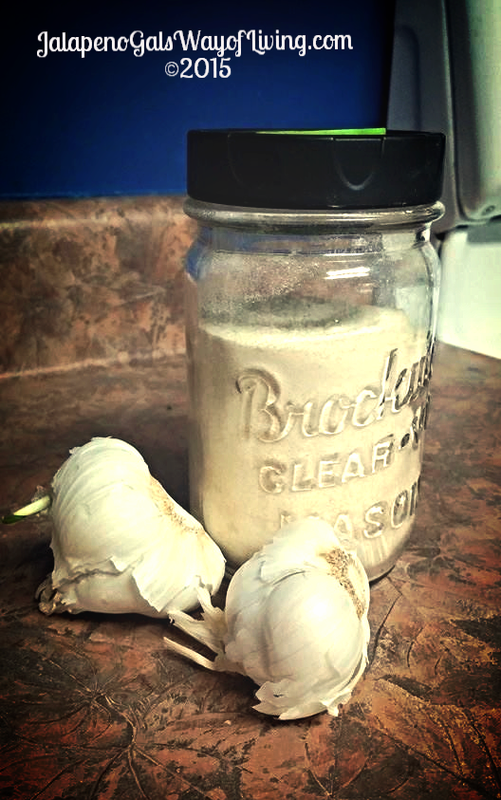 Homemade Fresh Garlic Powder!! 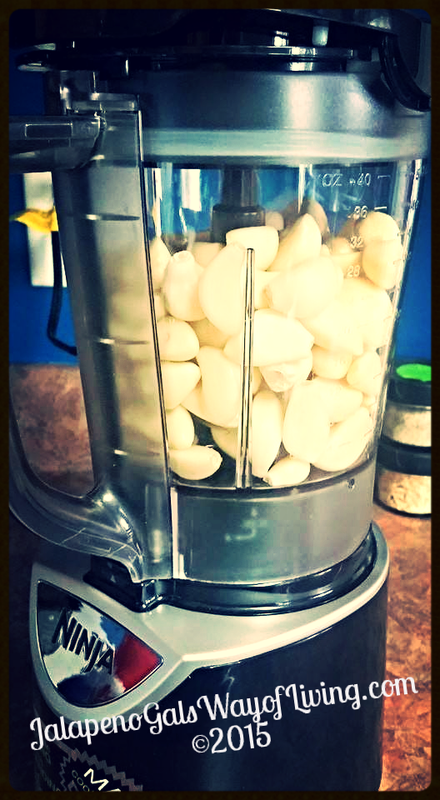 1 Comment on "Making Garlic Powder"
I’ve been making powders from several things, including garlic, by dehydrating and powdering in my 600 watt Nutribullet. It takes two seconds. Literally – just two seconds. Spice grinders are a pain to clean, but this is just a cup and the blade. I turned 15 pounds of dehydrated tomatoes into a full pint of pure tomato powder which is the best tomato paste you’ll ever use when added to a small amount of water. Onions, garlic, chiles and anything else I want are all turned to the freshest, purest powders with very little work. 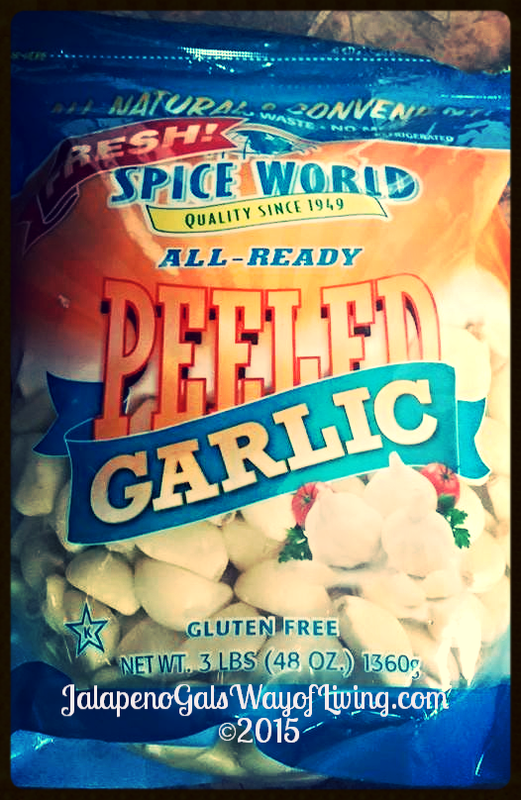 I’m glad to know about the peeled garlic at Sam’s! I’ll look for it tomorrow! I want to make garlic salt with salt substitute for my hubby.